Jefrey Joe is a venture capitalist with tech, product and consulting background. Prior to co-founding Alpha JWC, Jefrey was the Chief Operating Officer (COO) of Groupon Indonesia, the leading daily deals site in Indonesia where he focused on technology, customer experience and logistics. Before Groupon, Jefrey was a strategy consultant at The Boston Consulting Group where he primarily worked on strategy, market assessment and business plan development projects for some of the leading corporations in Indonesia. Jefrey also spent a few years at Ernst & Young Advisory Services where he specialized in performing share valuation projects relating to mergers and acquisitions (M&A) and IPO situations. Given Jefrey’s strong interest in technology, he has also been an Angel Investor in early-stage technology startups in Asia and the United States, which includes aCommerce (South East Asia’s leading e-commerce fulfillment company with strong presence in Indonesia), which he successfully exited, and Shopline (mobile focused DIY e-commerce store based in HK which was invested by Alibaba). Jefrey is also highly entrepreneurial. 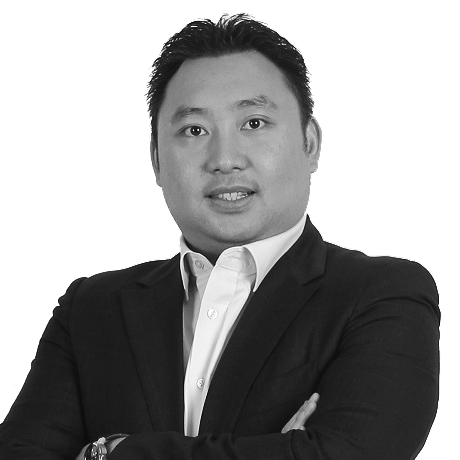 Jefrey co-founded Sepulsa.com, Indonesia’s pioneer online bill payment platform that does well till today. Given his experience in strategy, technology, entrepreneurship and operations, Jefrey focuses on helping entrepreneurs on the right business strategy/model, how to scale up the business sustainably and achieve operational excellence. Jefrey is an active member of Indonesia technology community where he is a mentor of Founder Institute and Endeavor, and he is on the board of advisors of ANGIN. Jefrey obtained his MBA from UCLA Anderson School of Management, and London Business School (International Exchange Program). Jeffrey attended Harvard Business School for the Owner/President Management (OPM) program, a 3-year residential program for business owners and entrepreneurs, and he also attended the Summer Business Scholar Program at The University of Chicago Booth School of Business. Jefrey received his undergraduate degree in Business Systems from Monash University in Australia. Jefrey is also a member of Young Presidents’ Organization (YPO), a premier leadership organization of chief executives in the world.